Glenda and Carolyn along with their husbands purchased this condo in 2004 and have enjoyed lots of fun family retreats as well as successful guest rentals. Glenda is a mortgage lender in the north Atlanta area while Carolyn is a REALTOR in the same area. We both have been in our industries for over 20 years and we still love our jobs! 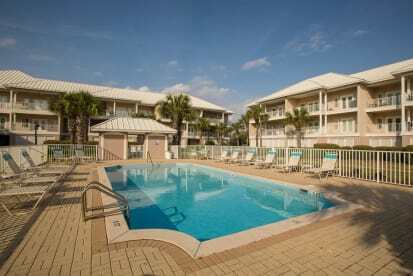 We have made many life time memories at Pavilion Palms and the Destin area and we hope you will also while renting our unit at 105-A. We are user friendly and offer many amentities to our guest. We are here to help make your vacation stay a happy and relaxed visit.